Educational institutions in Tierra Prometida have limited resources. Some schools do not have enough space to accommodate all students, and many teachers have not received updated training. Educational programs lack innovative teaching methods to help improve students skills, especially in reading comprehension. Children struggle to advance their learning outside of school, as they do not have access to books in their home. Since many parents have not had the opportunity to get a formal education, they do not understand the importance of school in their children's development, or have the skills to support their children's learning. In addition, there are few organized spaces where children, especially teens, can participate and learn about their rights. High schools in the area do not offer vocational or skills training. As a result, after finishing school, many teens go to work collecting recyclable material, or become employed as motorcycle taxi drivers or other informal posts. This only perpetuates their low economic status, and does not allow for personal development. There are colleges and universities in the area, but due to the children's poor academic performance and low family income, they are beyond the reach of most young people. The health of children in Tierra Prometida is compromised by many factors. Parents, teachers, and the community at large are not educated on good nutrition, hygiene, and other preventative health measures. There is no community support to develop strategies to help families who struggle with how to care for the growth and development of their children, especially those under the age of five. Families do not have access to early education centres where they could learn behaviours that would give their children a healthy start. Access to adequate health care is also challenging, as the area does not have the capacity to properly care for its children. As a result, there are high rates of malnutrition, anemia is widespread, and only half of all children have received their full immunizations. Other environmental issues, such landfill sites and raising animals and storing recycled materials in homes, are causing a high incidence of diarrhea and respiratory illnesses. The Tierra Prometida community is located just outside the city of Trujillo, in northwest Peru. This coastal area is characterized by a dry climate. The average yearly temperature is 20°C, but temperatures can climb above 30°C in the summer, and drop to as low as 13°C in the winter. Most homes are constructed without professional guidance. As a result, many have little ventilation and poor lighting, and are especially vulnerable to damage during the rainy season. The area lacks basic services and infrastructure, which is mainly due to rapid population growth. There are few jobs available and the majority of residents work in low paying positions as unskilled labourers, street vendors, and domestic workers. Violent organized gangs and other criminal activities have a negative influence on children and teens. Help parents understand the importance of education. Strengthen teacher's skills and help them to implement innovative learning programs. 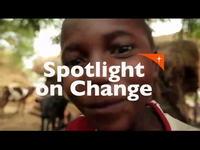 Enable the community to support children who are in emergency situations. Implement training opportunities for older children where they can learn valuable vocational and social skills. Empower families to care for their children by teaching them about nutritious foods, and how to properly prevent and manage illnesses like diarrhea and anemia. Improve teachers resources so they can talk to students about good hygiene and nutrition practices. 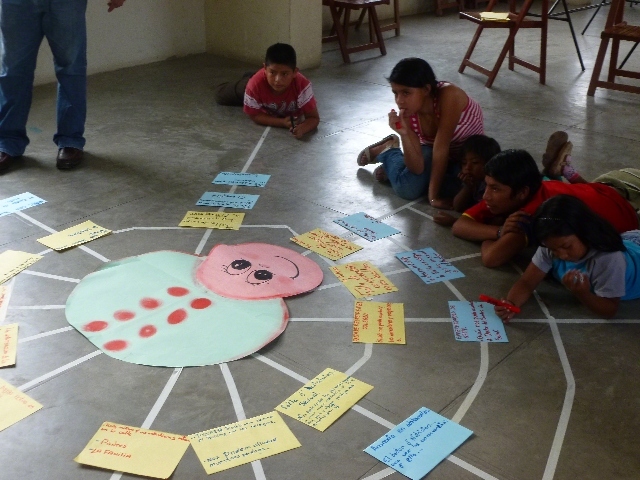 Develop and implement a local system that protects children's health and rights.